(91outcomes.com) - A chemical important in the proper functioning of the gut appears in a new study to be problematically low in Gulf War Illness. 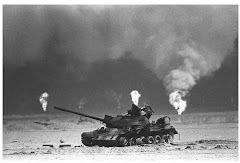 The study showed that restoring it effectively improved key complications of Gulf War Illness (GWI), including systemic inflammation, chronic fatigue, GI disturbances, metabolic complications and weight gain. The chemical, butyrate, is a short-chain fatty acid critical to gut microbiome health. Deficiencies of butyrate have been linked to autoimmune disorders, obesity, and perhaps now, to Gulf War Illness. The study was funded by the treatment-focused Gulf War Illness Research Program (GWIRP), Congressionally Directed Medical Research Programs (CDMRP). The CDMRP is Congressionally-directed within the U.S. Department of Defense and primarily funds non-governmental researchers. A dozen researchers from three universities collaborated on the interdisciplinary project, including from the University of South Carolina, Boston University, and the University of Illinois. 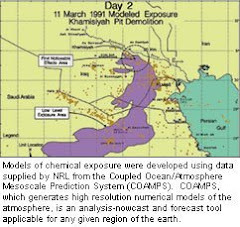 The study was conducted in a mouse model of 1991 Gulf War chemical exposures. The standardized model includes includes an experimental drug taken by Gulf War troops, pyridostigmine bromide (PB) Nerve Agent Protective Pills (NAPPs), combined with a commonly used Gulf War pesticide, permethrin. Toxicol Appl Pharmacol. 2018 Jul 1;350:64-77. doi: 10.1016/j.taap.2018.05.006. Epub 2018 May 9. Increased butyrate priming in the gut stalls microbiome associated-gastrointestinal inflammation and hepatic metabolic reprogramming in a mouse model of Gulf War Illness. Seth RK1, Kimono D1, Alhasson F1, Sarkar S1, Albadrani M1, Lasley SK2, Horner R3, Janulewicz P4, Nagarkatti M5, Nagarkatti P5, Sullivan K4, Chatterjee S6. Most of the associated pathologies in Gulf War Illness (GWI) have been ascribed to chemical and pharmaceutical exposures during the war. Since an increased number of veterans complain of gastrointestinal (GI), neuroinflammatory and metabolic complications as they age and there are limited options for a cure, the present study was focused to assess the role of butyrate, a short chain fatty acid for attenuating GWI-associated GI and metabolic complications. Results in a GWI-mouse model of permethrin and pyridostigmine bromide (PB) exposure showed that oral butyrate restored gut homeostasis and increased GPR109A receptor copies in the small intestine (SI). Claudin-2, a protein shown to be upregulated in conditions of leaky gut was significantly decreased following butyrate administration. Butyrate decreased TLR4 and TLR5 expressions in the liver concomitant to a decrease in TLR4 activation. GW-chemical exposure showed no clinical signs of liver disease but a significant alteration of metabolic markers such as SREBP1c, PPAR-α, and PFK was evident. Liver markers for lipogenesis and carbohydrate metabolism that were significantly upregulated following GW chemical exposure were attenuated by butyrate priming in vivo and in human primary hepatocytes. Further, Glucose transporter Glut-4 that was shown to be elevated following liver complications were significantly decreased in these mice after butyrate administration. Finally, use of TLR4 KO mice completely attenuated the liver metabolic changes suggesting the central role of these receptors in the GWI pathology. In conclusion, we report a butyrate specific mechanistic approach to identify and treat increased metabolic abnormalities in GWI veterans with systemic inflammation, chronic fatigue, GI disturbances, metabolic complications and weight gain.